Boston's median rent is the third most expensive in the country, only behind New York City and San Francisco. In 2013 the average rent was $1,772. Between 2009 and mid-2013, the average asking rent in Greater Boston increased by 9.1 percent while the average effective rent rose by 10 .8 percent, reflecting fewer discounts. Homeownership costs are rising faster than homeowners’ incomes. As a result, the housing cost burden for the typical family in Greater Boston has reached an all-time high with more than half of all renter households spending more than 30 percent of their gross incomes on rent. Those paying 50 percent or more of their gross income on rent—now surpasses one-fourth (26 .4 percent) of all renter households in the region, up from 18 .4 percent in 2000. To sum it up: wages are stagnant, rent is increasing, and there is not enough housing. Policy now and in the future will need to address these issues. Kendall Square/MIT is the most expensive zip code in Greater Boston. It's tough to be a renter in Boston. Although clearing roads after a a snowstorm is a priority, sidewalks can take days, even weeks to be cleared. And it is one reason why the Boston school system is still closed today. For many, it's an inconvenience that you deal with when living in an old (in US terms) city in the Northeast. However for residents with disabilities, it makes getting around nearly impossible. For these same residents, sidewalks are noticeable year round. This past summer, sidewalk inaccessibility came to light in Beacon Hill, one of Boston's oldest neighborhoods. In order to comply with the federal Americans with Disabilities Act, the city needs to install ramps on sidewalks. The Beacon Hill Civic Association sued the city for the cement materials that were being used for the ramps. The Association wants materials that preserve Beacon Hill's brick sidewalks and historical charm. To read more about the Beacon Hill sidewalk issue, go here. To read more about the Beacon Hill Civic Association and it's history, go here. To read more about what sidewalks could look like in the future, go here. In the meantime, MIT scientists are working on changing bad memories into good memories. Days like today make you wonder why the Pilgrims made the voyage to Massachusetts. The Pilgrims aboard the Mayflower were in route to the British Colony of Virginia, when storms and navigational problems diverted the ship to what is now Provincetown, Cape Cod. They arrived on November 21, 1620. Half the passengers died during the first winter. Here's a list of everyone who made the voyage. Oh have you heard? It's supposed to snow tomorrow. During the "Great Snow of 1717" it snowed for 9 days. Boston saw up to 40 inches of snow and Bostonians walked on stilts. The good news though, there was no electricity to lose. The Roomba, an autonomous vacuum cleaner, was introduced in 2002 by Bedford based company, iRobot. iRobot was founded by three MIT roboticists; Colin Angle, Helen Greiner, and Rodney Brooks to make practical robots a reality. Along with home robots like the Roomba, iRobot makes an automated floor scrubber, floor mop, pool cleaner, and gutter cleaner. They also make robots for businesses and security/defense. Rosie, is the most commonly used name for the Roomba. Boston Dynamics, a robotics company recently purchased by Google, created a cheetahrobot that is the fastest legged robot in the world. A cat in a shark costume chases a duck while riding a roomba, has garnered 7,840,335 views on youtube. The rhinoceros sculpture in front of the School of the Museum of Fines Arts is a dedication to Boston sculptor and SMFA Alum, Katharine Lane Weems. In fact it is a copy of her two Indian Rhinoceroses, Bessie and Victoria, that sit in front of Harvard's Department of Molecular and Cellular Biology. Weems (1899-1989) was born into a family of culturati--her father was once the president of the MFA--and she was known for her animal sculptures. The National Museum of Wildlife Art of the United States has a quote from Weems. When she was asked why she chose animals as her primary subject matter as opposed to people, Weems commented, "When you're doing a human figure you're always working on the same fundamental chassis; but with animals the variation in composition is infinite; an animal is forever in movement, in different, unconscious grace. And finally, you never have the relatives to contend with!" Take a look at some photos of Katharine at work. The Mugar Omni theater, located in the Science Museum since 1987, is a 5 story dome shaped IMAX theater called an Omnimax. It is the only Omnimax in New England and one of only sixty in the world. The seats recline about thirty degrees, and because the screen fills a viewer's field of vision (including periphery vision) viewers get the feeling of immersion and motion. The Omni theater also has surround sound (who put the bomp in the bomp? Shabomp, shabomp). *The 70mm Omnimax film reel is around 3 miles long, weighs 200 pounds, and needs to be configured manually. This is pure nostalgia for anyone who remembers the "New England Introduction" that played before each Omni theater film. Sadly the theater doesn't use this introduction anymore. The Omni theater only plays educational films. If you want to see a film this week, there are films about the Mayans, the Galapagos Islands, and pandas. Because of Boston's proximity to water, Bostonians historically diverted wastewater into the Charles River and the Boston Harbor. It wasn't until 1877 that Boston began constructing it's first official sewer system. According to the Massachusetts Water Resources Authority, the Boston Main Drainage System (BMDS) "diverted sewage from 18 cities and town to Moon Island in Boston Harbor. There sewage was held for release with the outgoing tide." Presently, the Boston Water and Sewer Commission serves 70% of the total land area of Boston and uses two types of wastewater collection systems: Separate and combined sewer systems. Separate sewer systems separate sanitary waste and stormwater flow. Combined sewer systems combine sanitary waste and stormwater flow. According to BWSC, the sewer system is approximately "1,455 linear miles, the sewer system consists of: 622 miles of sanitary, 595 miles of storm drain, 235 miles of combined sewer, and 3 miles of combined sewer overflow. The sewers are made of stone, brick, vitrified clay, concrete, iron, and cast iron. Vitrified clay is the most prevalent type of sewer material in the system because it has been used for some time as the standard material for the smaller diameter piping which is predominant in the system. Brick is the most common material for the larger pipes in the system because it was the principal building material used for large pipe in the late 1800's. Most new sewers are made of concrete, polyvinyl chloride (PVC) plastic or ductile iron." Boston wastewater is currently sent to the Deer Island Waste Water Treatment Plant where it is treated and then sent into the ocean. Deer Island is now recognizable for its egg shaped anaerobic digesters. If you are interested in how the sewer system works, here's a diagram. Read more about stormwater management. Dr. Martin Luther King Jr. got his Docterate from Boston University's School of Theology in 1955. According to Boston University, the Dean of BU's Marsh Chapel at the time, Howard Thurman, was King's mentor and spirtual advisor. Thurman was responsible for teaching Gandhi's ideas of nonviolent protest to Dr. King. The Free at Last sculpture was dedicated in 1975 by artist Sergio Castillo to commemorate Dr. King. According to the Boston Art Commission, the "sculpture, twenty feet high, consists of a mass of wing-flapping birds cut from cor-ten steel. Close-up, one sees individual birds, each striving to be airborne, but from afar one sees a flock of birds, formed into the shape of a single bird headed for the sky." Take a look at a picture of Dr. Martin Luther King Jr. in front of Marsh Chapel. Boston University has a collection of Dr. King's personal papers. Beautiful Then Gone as a phrase is actually based on a book by the famous designer Martin Venezky called "It is beautiful... then gone". This book title and its contents really struck me when my brother gave it to me. It really tapped into a nostalgic place and happened to go along with what I was attempting to capture via photography when I used to shoot photos. So in essence it became a working title for my collective body of work in photography, capturing life's fleeting moments. We made some stickers and shirts but that was really just because people really identified with that title and design I suppose. I created the design myself. That project was abandoned probably in 2012/2013 and I have since moved on to many other projects in the art world that have been even more successful so to speak. That phrase though... Beautiful then gone.... I think it's still so perfect. It captures a sentiment perfectly. -E-mail from the artist behind the sticker. You can follow more of the artist's work on their instagram account. See designer Martin Venezky's work here. Although NASA's Mission Control Center did not end up in Kendall Square, 38 NASA Astronauts graduated from MIT. That's more than any other non-military academic institution. The most notable alum, Buzz Aldrin, was the second person to walk on the moon after Neil Armstrong in July 1969. 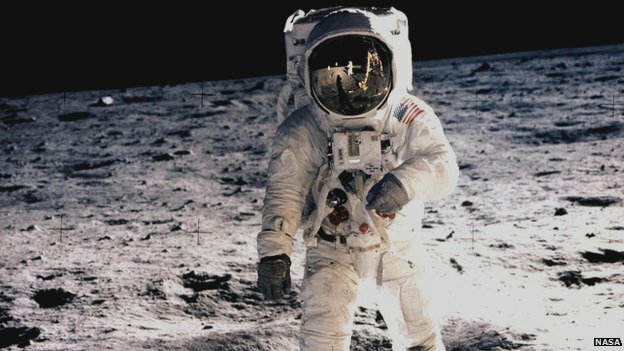 Take a look at an iconic photo of Buzz Aldrin on the moon. In October 2014, MIT's Department of Aeronautics and Astronautics held a centennialsymposium. Wachusett Mountain, located 50 miles outside of Boston in Princeton Mass, is a popular ski resort. However, it is also the site of a very rare "old growth forest." A forest characterized by having trees over 150 years old with a complex ecology. When colonists first arrived in Massachusetts, forests were plentiful. Soon after, trees were cut down for limber, and forests were cleared for agriculture. Now there are only 1,000 acres of old growth forests in Massachusetts and around 100 of them are found in Wachusett Mountain. Learn more about old-growth forests. This past August, "The Sea of Trees," a new movie directed by Gus Van Sant (who also directed Good Will Hunting), and staring Matthew McConaughey, filmed scenes in Wachusett. Shallow Hal, the 2001 Jack Black movie, also filmed scenes in Wachusett. In 1982, the Boston Park Rangers Mounted Unit was established to protect and patrol the Emerald Necklace (which was landscape architect, Frederick Olmsted's original plan). The Emerald Necklace is a 1,100 acre chain of nine parks that include the Boston Common, Public Garden, Commonwealth Avenue Mall, Back Bay Fens, The Riverway, Olmsted Park, Jamaica Pond, Arnold Arboretum, and the Franklin Park. Because of budget cuts, the city of Boston could no longer afford the program and faced eliminating the Unit in 2009. The Friends of the Boston Park Rangers Mounted Unit was established in 2010 to fundraise the $155,000 annual dues needed to keep the Unit afloat. Thanks to their effort, the dues were raised this year and the 6 horses; Mystic, Otis, Frederick, Liberty, Baron and Winston can continue patrolling the parks. Take a look at an 1888 photo of the last horse drawn streetcar in Boston. The Boston Bruins, founded in 1924, was the first American hockey team to join the National Hockey League (NHL). They played in the Boston Arena (now Northeastern University's Matthews Arena; the oldest ice hockey arena still used for hockey in the world) until they moved to the Boston Garden in 1928. The Bruins have since won six Stanley Cups. The Beanpot, a popular hockey tournament between Northeastern University, Harvard University, Boston College, and Boston University, formed in 1952 as a "filler." According to the Beanpot website and Jack Grinold, "It was originally the first two nights after Christmas of 1952. It was to help the Arena on off nights. It's way, way beyond that now." Presently, the Beanpot is one of the most popular sporting events in Boston, and is played on two Mondays in February. BU has won the most championships with 29, followed by BC with 19, Harvard with 10, and Northeastern with 4. After a BC/BU Beanpot game on February 6th, 1978, around a hundred people were trapped in the Garden during ablizzard. Bruins goalie, Gerry Cheevers, who played on and off for the Bruins from 1965-1980, was a character. Legend goes there was a stipulation in his contract that allowed him to drink a beer in between periods. He was known for wearing a mask with a pattern of stitches that marked the spots where pucks hit him. Not surprisingly, it was full of stitches. In 1791, Massachusetts Bank financed the first American voyage to Argentina by ship. With time, Buenos Aires and Boston became trade partners, trading goods like wool and leather and in 1917, Bank of Boston (after merging with Massachusetts Bank in 1903) opened its first branch in Buenos Aires. The 20th century saw Bank of Boston become one the largest foreign banks in some parts of Latin America and its impressive neo-colonial Banco de Boston building in Buenos Aires, constructed in 1924, became a well known landmark (if also a target for protests). In 2001, it was a site of massive protests in Argentina when the country defaulted on their international loans, and the government froze savings accounts. The building has since become ICBC Argentina, a Chinese bank, signaling China's influence in Latin America, as well as an end of an era for Boston banks in Latin America. Take a look at some old and new photos of the Banco de Boston building in Buenos Aires. *you can play the oregon trail here. "We in Boston, will honor Dr. King in peace." While riots were occurring in cities all over the United States as a response to Martin Luther King's assassination, James Brown performed a concert at the Boston Garden (just a day after the assassination on April 5th, 1968). Mayor Kevin White had WGBH record the concert so that people could watch from their homes and prevent people from going to the street riot. It has been said that thanks to James Brown, and his concert, there was no rioting in Boston. The Rock and Roll Hall of Fame has an article about the concert with a clip of James Brown's performance. There is also a VH1 documentary about "The Night James Brown Saved Boston." Molasses has had an interesting role in Boston history since the colonial days when colonists put molasses in their baked beans and inspired what we now call Boston Baked Beans. In fact, according to the Boston Tea Party Museum, "John Hancock, made his fortune smuggling molasses on his ship called “Liberty”, the fortune which was later used to support the cause of American independence." Another use of molasses was in rum distillation, which was popular at the time in Boston. Molasses was also responsible for one of the strangest man made disasters in Boston history, when in January 1919, a tank full of 2.3 million gallons of molasses from the Purity Distilling company collapsed in the North End. It resulted in a 15 foot tsunami (more devastating than a typical tsunami) going 35 miles per hour that destroyed buildings, swept people away, and eventually trapped people in a gelatinous state. 21 people died, and more than 150 were injured. There is a distillery in Roxbury (Boston's first craft distillery) that along with other spirits, offers a rum named the Boston rum. They also offer tours. The coat of arms consists of a shield that depicts an Algonquian Native American with a bow and arrow and the arrow pointed downward signifying peace. Above the shield is the state military crest: a bent arm holding a broadsword aloft. The sword has its blade up, to remind that it was through the American Revolution that independence was won. The motto, Ense petit placidam sub libertate quietem, is Latin for, "By the sword we seek peace, but peace only under liberty." However the literal translation is "she seeks with the sword a quiet peace under liberty" from a longer phrase, "this hand, hostile to tyrants, seeks with the sword a quiet peace under liberty." The motto comes from Englishman, Algernon Sidney, who penned it around 1659. Sidney was an opponent of Charles II and was executed for treason. The coat of arms is found on the current Great Seal and on the flag of the Commonwealth of Massachusetts. 17 other states have officially adopted coats of arms as well. You can see them here.